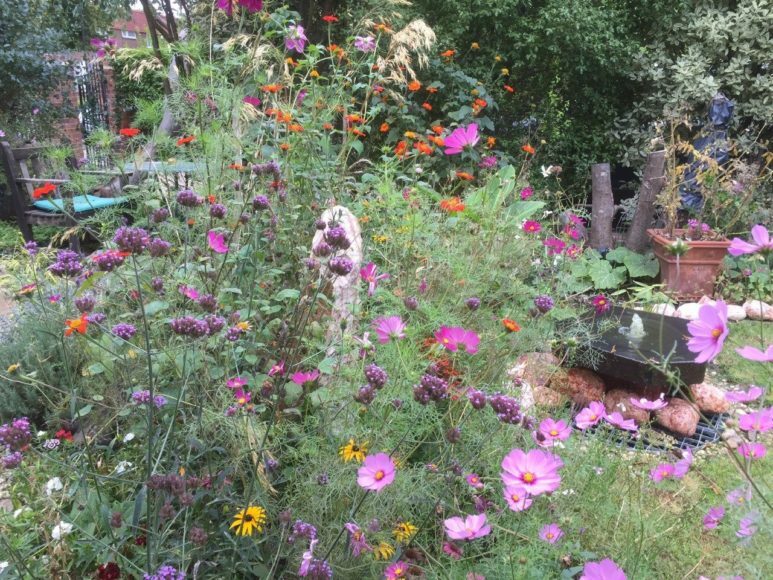 I wanted to create a garden for wildlife & us to sit in with a sense of nature & beauty. This is a front garden and, as we live on a corner, we aimed for something that the local community could enjoy too. We started with a design of ovals and are now trying to develop a natural cottage garden feel within the structure of paths.